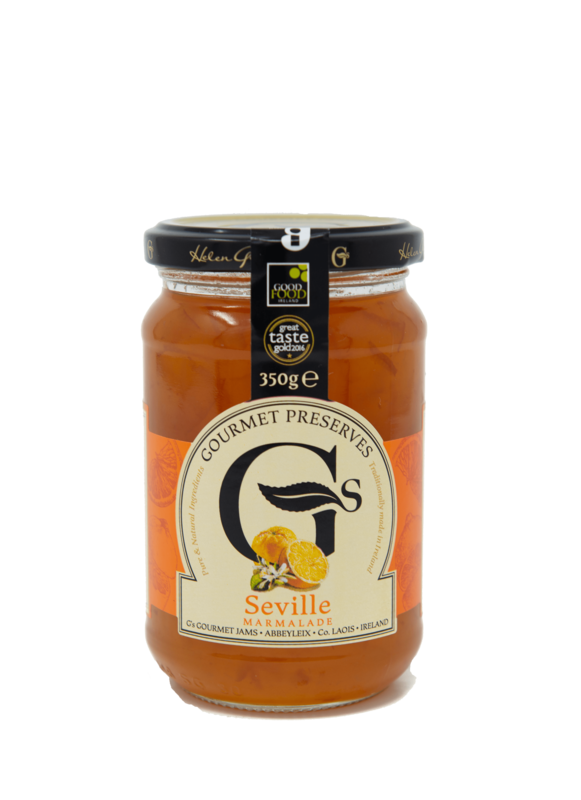 This deliciously light tangy and tart tasting Irish homemade marmalade is made with Seville oranges, from Seville in Spain .This product is very unique and contains no artificial preservatives, colourings or additives. They are aimed at those who enjoy a ‘made in your own kitchen’ quality of marmalade that you don’t find in your average processed pot of marmalade. You can taste and smell the freshness when the lid ‘pops’. It is made from the highest quality of fruits .It is also gluten free and suitable for vegetarians. The perfect accompaniment for your hot slice of freshly buttered toast on those dark, cold winter mornings.